Home Travel The International Ice And Snow Festival Harbin, China. Yes, festivals are the auspicious periods when we forget each and every tension and worry. At this time, there is freshness in air and flowers become more fragrant. We live with smile, dance with joy, play with craziness and all around there is sudden type of excitement. Imagine a situation where snow surrounds you and you are jumping, walking, sliding as well as hanging on the snow roofs. How lovely it would be! Yes it is possible and even celebrated every year in Harbin, China. Hence, the same picture has shown above. The ice and snow festival in china is the world’s largest snow festival which is celebrated every year by Chinese and also by visitors. People know Harbin because of ice lanterns. Ice is one of the most common sights of the northeast china. Children eagerly wait to celebrate this festival as they like to make their man of snow which we know as snowman and also to slide over those coldly surfaces which is created in large area of city. They have the curiosity to get a view of unique sculptures made on particular theme whether the theme belongs to ancient time or on the present scenario. 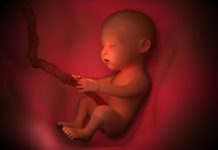 This excitement begins from very early time approximately one month where each and every person used to engage him or herself in decoration and celebration. The celebration makes body warm which can defeat any rate of low temperature. Festive lanterns are popular in the southern regions while people in the northeast of the country usually place candles inside ice blocks. This special festival officially starts from 5th January. The locals begin to celebrate the festival in the third week of December. It is said that ice lanterns derived from the fisherman’s ship light on Songhua River. 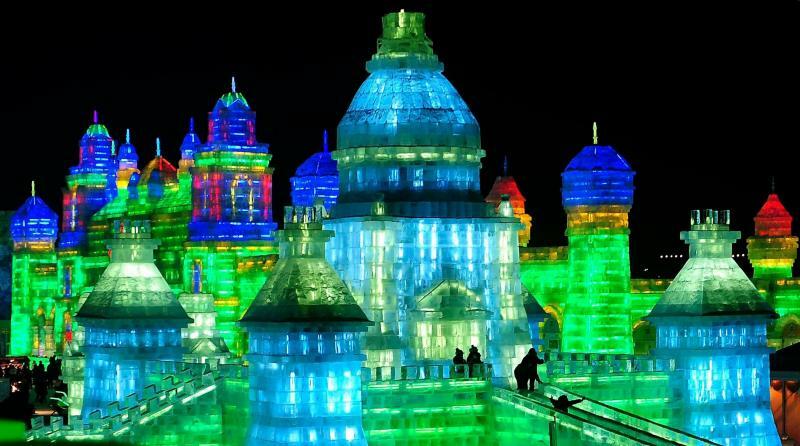 Records show that the large-scale ice lantern show began in 1963, when Harbin held the first garden party, which was the very first organized fair for the ice lantern in china. Nowadays, snow and ice festival become so popular which gives credit to those tourists from Hong Kong, Taiwan and Macau who led the celebration of the ice and snow festival. When this spring festival starts, people of the northeast make ice lanterns to welcome spring festival. Ice used to carve by great sculptors on particular theme which is the most attractive attention for all visitors. But it’s not an easy task as sculptors have to be very careful. For sculpting, they have to pour water between ice blocks which is dangerous and laborious too. A simple-spade is responsible for converting the ice blocks into an exquisite work of art. Hence, it is a sophisticated skill. It takes time to polish this skill. The blocks are pretty rough after the first polishing but gets turn shiny after few days. Even doing this laborious and dangerous work in this freezing cold, it gives warmth to all great sculptors. They do their work on risk to see happy others. From different countries, huge crowd of people enjoy this winter festival. This festival is so popular and also celebrated in Japan, Canada’s Quebec City and also in Norway. During this cold weather, seeing fireworks is the most pleasant thing for the visitors. Fireworks are like the “icing on the cake” on this festival. The decoration of this coldly festival was started from the month of December and after working continuously for 7*24 hours then, snow city is created. The large buildings, towers, caves, slides for the children to play are created by the hard work of more than one hundred workers and then those master pieces in the city are decorated with lightening. This makes all the corners of the snow city bright and glowed. The makes ice and snow world is full of highlights. This festival also organizes international snow competitions which attracts people from all around the world. Skating, exhibition of paintings, ice sailing, performances of dance and singing on ice, wedding ceremonies, mountain skiing, winter swimming and much more. It is like a fair in the city where you can enjoy each and everything. This city is developed by 180000 cubic meters of ice which is used to create more than 2000 ice sculptures for the festival which makes public excited. The ice blocks are made too huge. This city is developed in very large part of the china. The city in which ice buildings are built is known as ice city. What the beautiful city will look if all around us are the icy buildings and slides and on which beautiful fireworks which shines Harbin in china. It’s good to see a family of three taking a walk around ice sculptures. This is not the end of this festival but also the sweet and delicious dishes on the festival makes the people more excited. Those mouth-watering dishes include Chinese fresh vegetables eaten cold with soya sauce or dipped in sauce. Dumplings are considered to be predominant which are stuffed with different materials and each dumpling has unique taste. Eating “northeast ratatouille” is the sign which indicate that the spring festival has celebrated well. People enjoy collective meal during this time as it gives them satisfaction and also fun. Harbin beer is also the fascinating drink on this occasion. People of different lifestyle wear common dress which makes festival more unique which includes winter coat, gloves, scarf, and hat and waterproof shoes. People belong to any age whether children, women, men or old group enjoy this festival a lot. These types of festivals should be celebrated in all over the world as it helps people to get collected. We need some occasions on which not a particular country but the whole world can feel united. As it will remove wasteful wars and will promote harmony and peace which can be achieved by this. Author Bio : Sakshi Agarwal , a Class-11 student of Gayatri Public School ,Agra.A Participant of International Essay Competition ,October.